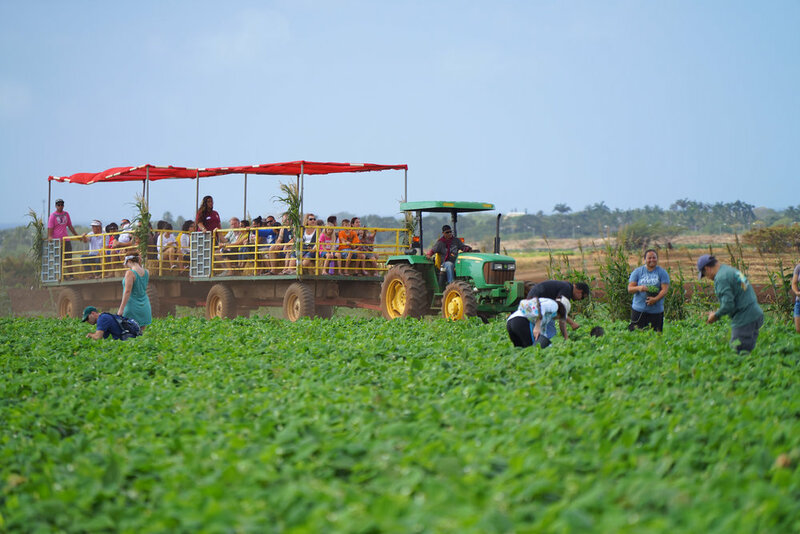 As one of the biggest diversified family farms on Oahu, Aloun Farms is no stranger in the eyes of the local community. In fact, over the past four decades, the farm has transformed into a classroom of some sorts, working to educate people of all ages – from keiki to kupuna – about the importance of agriculture in Hawaii. With limited proficiency in English, Aloun’s four children were encouraged to learn English and apply their skills to the farm’s production, marketing and sales initiatives. In 1983, the farm’s operations grew large enough that the family began selling directly to Hawaii’s major supermarkets. Fast-forward to today and Aloun Farms has swelled their production capabilities to approximately 3,000 acres of productive ag land, encompassing Ewa Plains, Kunia, Waipio and Helemano. So, in efforts to grow this next generation of farmers and educate the community, Aloun Farms hosts a number of family-friendly events throughout the year. Their most popular annual attractions include the Pumpkin Patch Festival, which boasts fall favorites including hayrides, pony rides, farm-style food and interactive games, and the Sweet Onion Culinary Competition & Gala, where local high school teams compete head-to-head to win academic scholarships ranging from $500 up to $2,500. For more information about Aloun Farms, visit www.alounfarms.com.